Showing Your College Team Some Love With Patina Collegiate Fire Pits . One of the most exciting things about outdoor fire pits is that they add to the outdoor fun experience and create that wonderful ambience. If you love tailgating and love outdoor parties and gatherings how about having that outdoor fun while showing support for your college or team with Patina collegiate fire pits custom made for your school or team. Patina Collegiate fire pits are college or team themed fire pits that come custom cutouts of a team’s or college’s name or initials. 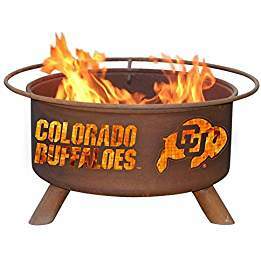 Some even come with a college logo and team mascot cutouts which make these fire pits ideal for showing team spirit and pride. 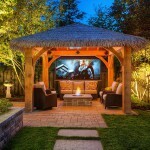 So why go tailgating and have those outdoor parties and gatherings with an ordinary camp fire or fire pit when you could have a fire pit that completely identifies with you? The cutouts and names on these college themed fire pits will let everybody around you know what teams or colleges you are affiliated to. What better way to show pride and belonging than that? Other than show your team spirit of your college or favorite team, these fire pits by Patina Products will make any outdoor gathering complete because they function as both fire pits and BBQ grills. You can therefore get to enjoy cookouts before or after big games with other college fans while enjoying the warmth of the fire in these fire pits. 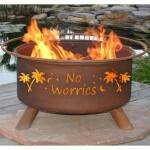 These fire pits are perfect for students, college sports fans and alumni. 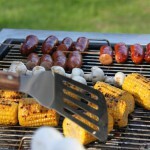 Other than the college names and logos on the frame, here are features that make collegiate fir pits a good option for tailgating and why you should get yours today. 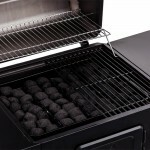 Collegiate fire pits are manufactured from 16 Gauge cold-rolled steel which will ensure your fire pit lasts for years. 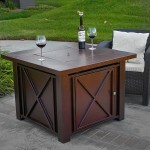 They all come in a natural rust patina finish that will blends well with the outdoors and will age beautifully over time. 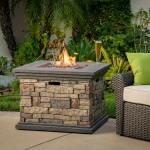 All collegiate fire pits are light weight- just 50lb which pretty much makes them portable which allows you to move your fire pit easily from patio to beach and wherever. 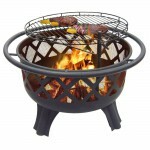 They feature a safety ring surrounding fire pit that acts as a handle for easy movement. This safety ring could also function as footrest. 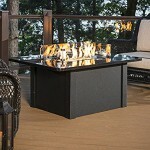 The steel fire pit frame is supported by sturdy legs welded in place to prevent the fire pit from wobbling. 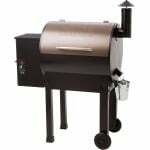 You won’t have to go through the hassle of rummaging around for bolts and nuts to assemble your fire pit as it comes fully assembled ready for your immediate use and enjoyment. 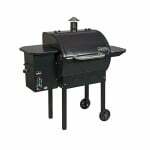 A BBQ grill insert for your cooking. A poker for stocking your fires. 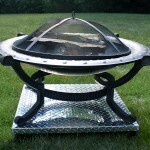 A weather cover to protect your fire pit from dirt and unwanted debris. A spark screen cover to ensure you, you and your team mates are able to enjoy and have fun without worrying about accidents and burning up things. Told you, this is the ultimate package right here. 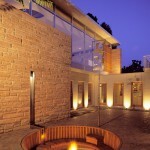 Remember that these patina college themed fire pits are backed by 100% Customer Satisfaction Guarantee. Patina products unconditionally guarantees that their collegiate fire pits will be free from defects in material and workmanship. 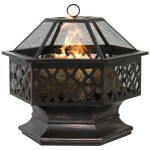 They categorically declare in their website that should you for any reason find that you are not completely satisfied with the performance of your college themed fire pit then you should return it to Patina Products within 60 days for replacement or credit for the quantity returned. See that, you really have no reason to go pick an ordinary fire pit for you outdoor parties and gatherings over a fire pit with your teams or college’s logo Initials or name, do you? 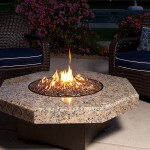 If you are having trouble finding your college fire pit, drop us a comment and we will help you find it. In a fraternity or sorority? 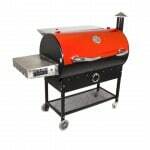 Go forth and show your support to your college team with a Patina Collegiate Fire Pit.